Dubai: Dubai’s developers have shifted into higher gear on their handover schedules, with the first-half of this year recording 13,315 homes being delivered. This compares with the meagre 5,039 units completed in the same period last year, while the first half of 2015 tally was 8,714 units, based on data from Reidin-GCP. But even if the first half of 2017 pace of delivery is maintained, the prospect of developers being able to meet their full-year expectations of 34,172 units does appear remote. For confirmation, look to their recent track-record. For the record, in 2015 and 2016, full-year deliveries totalled 11,879 and 14,892 units, respectively. The gap between promises and the reality could become more stark next year. “In 2018, the anticipated pipeline is expected to surge with an expectation of 70,785 units being handed over,” said Lakhani. “This is the why there’s been a lot of hand wringing over potential oversupply. Purely from a developer’s perspective, such easing of supply in line with demand makes sense. Push too much of inventory into the market and chances are that it might result in a spike in unsold inventory, which could tell on overall property values. For the moment, actual supply in 2018 could be roughly in line with demand, and a balance that could last into the medium term. “Given the rate of population increase of 5 per cent, it appears as if a steady state scenario requires an annual increase of approximately 30,000 units a year,” said Lakhani. “The number of units needed jumps to 35,000 units a year if the population is growing at 7 per cent. Among Dubai’s freehold communities, Dubai Silicon Oasis had the highest number of handovers — 2763 units — in Dubai over the first six months, followed by the 2,520 homes delivered in Dubailand. International City continues to see a steady stream of completions, in this particular period totalling 1,543 units. At the premium end of the cluster space, Downtown had 1,411 handovers and Business Bay 869. Among the fast emerging communities, Jumeirah Village Circle had 694 deliveries. “A look into different community occupancy rates reveals the “suburban” effect underway,” says the new report from Reidin-GCP. “The popularity of mid-income areas such as JVC and Dubai Residential City (on Dubai-Al Ain highway) have surged, having similar occupancy rates of more established areas such as JLT and Dubai Marina. 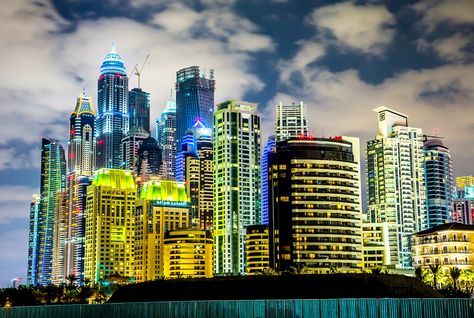 Over the last seven years, occupancy rates across apartments in Dubai troughed at 82.4 per cent in 2011 and peaked in 2014 at 92.7 per cent, the report finds. Currently the occupancy rates are at 88.4 per cent which is in line with historical average.